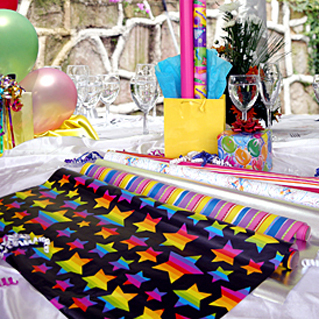 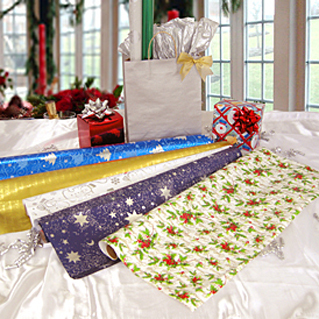 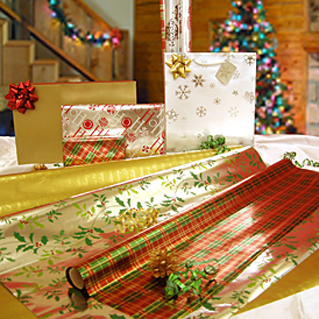 Our gift wraps can be rolled or laid flat (roll wrap or flat wrap). 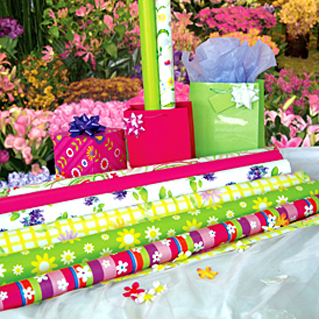 Different materials such as metallic paper, metallic film, LWC, art paper, and transparent OPP film can be produced. 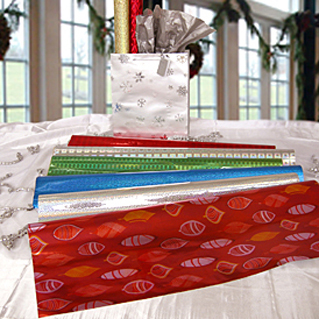 Different appliques such as hot-stamp, glitter, spot UV, or flocking are available.